Convert all your movie collections just with one click. You can convert a single file or multiple files simply drag and drop them on AnyVideo Converter HD. Using Remux technlogy most files will be converted in few minutes. A 5.5 GB .mkv file can be converted in just 3 minutes. Performs a perfect conversion for your device. Automatic deinterlace, right aspect ratio for selected device, no change in color palette. 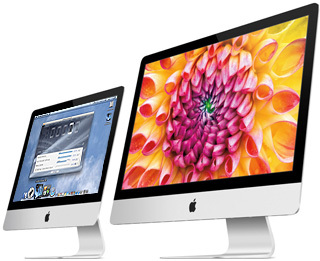 are designed and optimized for Mac. Very simple user interface, supports drag and drop functionality and doesn't required technical knowledge to be used. Very high speed conversion by optimizing the use of all processors. The core engine is designed to maximize performance on both 32bit and 64bit computers. Many video files are available in .mkv video format. AnyVideo Converter HD is suited to convert this kind of file. If your video file contain multiple audio track you can select one to convert. If your video file contain subtitle, you can select one, or you can add subtitle from an external file. Some videos are interlaced and aren't optimized to view on LCD screen. AnyVideo Converter HD automatic deinterlace the videos for a better view. You can convert all your videos maintain a 5.1 , 6.1 or 7.1 audio. All converted files maintains the correct aspect ratio for a perfect view on any device. All videos can be sync with iTunes automatically. No change in color palette for a perfect and professional conversion. AnyVideo Converter HD is tested on all supported device. All settings are optimized for a better user experience. AnyVideo Converter HD is a professional low cost product. You never find ads inside. Just Works! - This app does everything it says it does, and extremely well. I set my default settings (I usually convert for Apple TV), and from then on just drag an drop video files in and walk away. No muss, no fuss. Fantastic! - Works great, no problems, quick, simple and self explanatory. Phenomenal - I have used multiple converters over the years and this by far is the most amazing, fast and reliable video converting software I have ever used. This app has made my life so much easier, no more waiting!!! Please keep up the phenomenal work! Amazing! - Get this App. Its a MUST HAVE! I Love this converter, best I've ever used by far. I just wish I would have gotten it sooner. Cant wait untill my collection is in iTunes. Thanks Guys, Great job.Awesome, Simple, Works! The easiest and fastest way to convert all your videos in many devices. For every device, will be chosen the right video and audio codec to achieve the best image quality. AnyVideo Converter HD is a software created by Vivica srl. It is a commercial software distributed by Apple Mac App Store and digital delivery by Avangate. All trademarks mentioned herein belong to their respective owners. © 2012-13. All Rights Reserved.